By Karrar Haider in Desktop. Updated on October 25, 2017 . CCleaner is considered one of the best PC cleaning utilities that offers multiple cleaning tools in a single interface to ensure your PC is clean and junk free. If you want to use CCleaner but don’t know how to, I can help you get most out of it. In this post, I’ll show you few handy CCleaner tricks that will help you use it productively. Additionally, I am going to explain how to use its built-in tools and get more out of them. 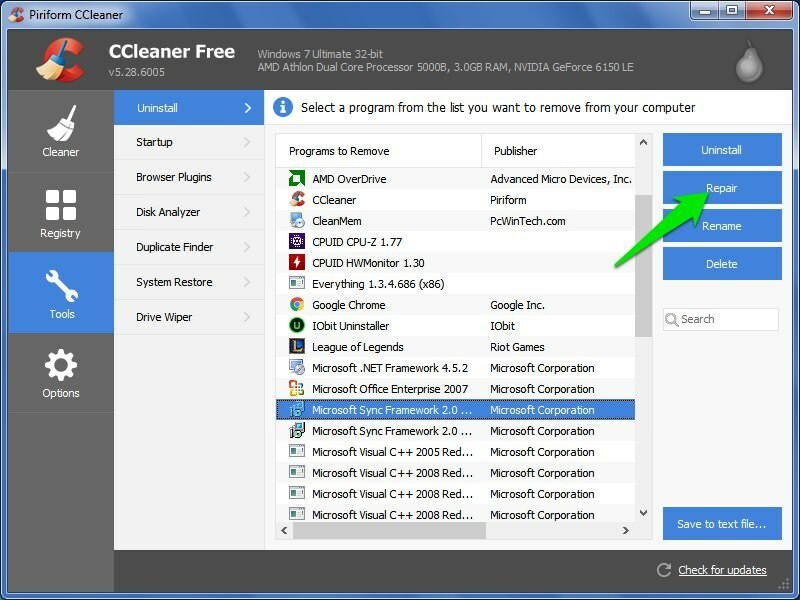 Below are some CCleaner tips and tricks that will help you be more productive while cleaning your PC and get the best experience. 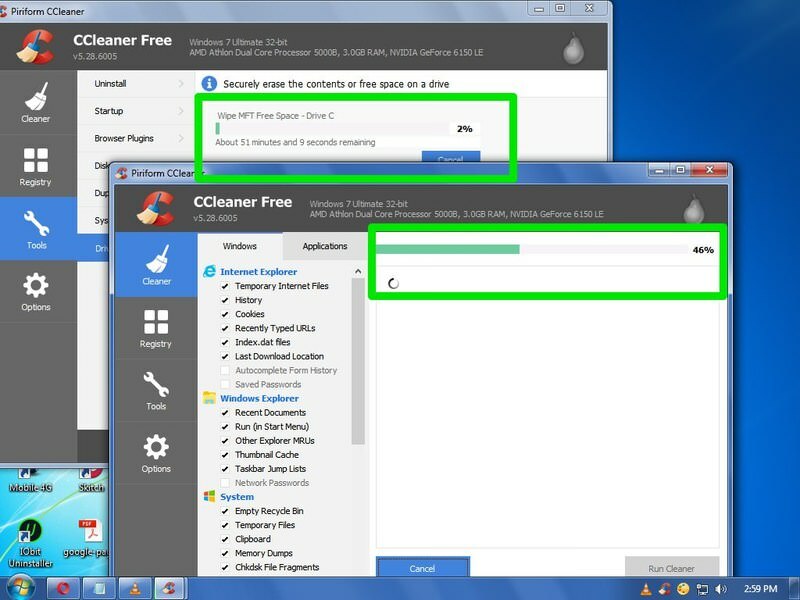 CCleaner has multiple tools all of which depend on scanning your PC to clean it. However, you have to wait until the scan finishes to use any other option. If you want to quickly run multiple scans simultaneously, then use this simple trick. While CCleaner is open, hold the Shift key and click on its icon in the taskbar. Alternatively, you can simply double-click on CCleaner shortcut to open another instance of it. In the below screenshot, you can see I am running Driver Wiper scan and Cleaner tool’s scan at the same time. 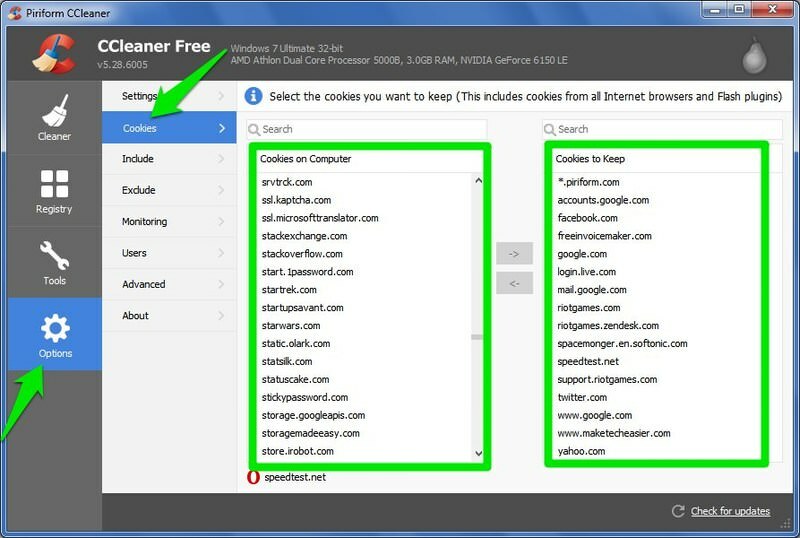 By default, CCleaner will delete all of the browser cookies during the main scan because it considers cookies as junk. However, CCleaner offers you an option where you can select important cookies which will never be deleted in any of its scans. To do so, go to Options section in CCleaner and then click on Cookies. Here you will see two columns. The left column lists all the cookies in your PC, and the right column lists all the cookies that are whitelisted to be never deleted. You simply need to double-click on the important cookies in the left column to whitelist them to the right column. Tip: There is a search bar at the top of the list of cookies. Make use of it to quickly find the required cookies. By default, CCleaner deletes all the browser cache and some of the OS cache during its scan. As cache take up quite some space, it’s a good practice to delete it. But deleting it also slow things down as data stored in the cache is reused by the browser to quickly access a website that you already visited. Ideally, CCleaner should only be allowed to delete cache at least after a month. 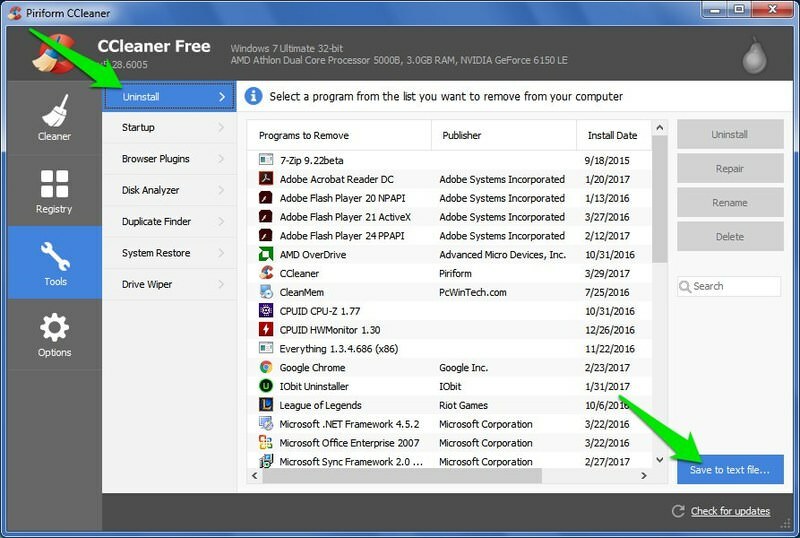 To stop CCleaner from deleting cache, move to the Application tab and uncheck the Internet Cache option under all of your browsers. Afterward, move to the Windows tab and uncheck the option Thumbnail Cache under the Windows Explorer section. This will ensure your folder with lots of thumbnails (like images) always load quickly. CCleaner has an obscure Save to text file button that is overlooked by many users. This button can create a text file of important data in your PC that could be used for diagnostic purposes. For example, you can create a text file listing all the programs on your PC and send it to an expert to see if there’s a bad program. To create a text file of your data move to the Tools section and click on Uninstall. 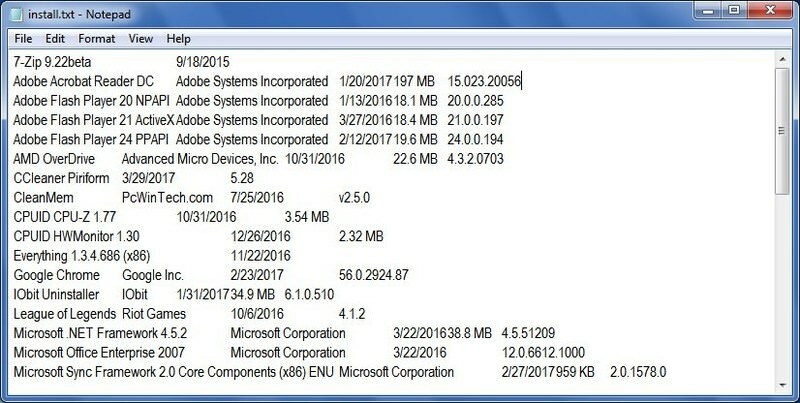 You will see a list of all the programs installed on your PC. Now click on the Save to text file button at the bottom-right corner of the interface and save the file. The data will be saved as a text file and anyone can open it to see which programs are installed on your PC. This button is available for other CCleaner tools as well. Move to the Startup section and you’ll be able to create text file for all the programs that are set to start with Windows and even for Context Menu entries. Same goes for Browser Plugins section, you can create text file listing all the extensions and plugins installed in all of your browsers. 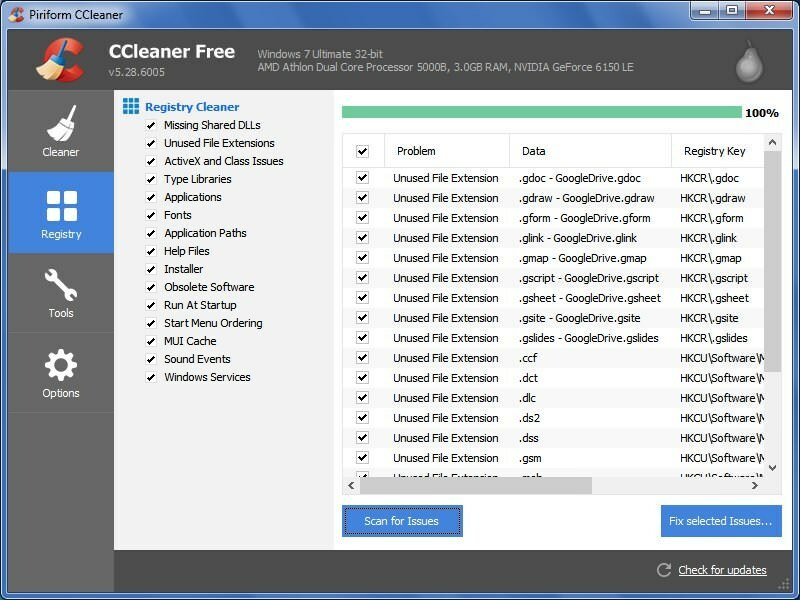 CCEnhancer is a third-party tool for CCleaner that, as the name suggests, enhances cleaning capabilities of CCleaner. It adds hundreds of cleaning options for applications that are on your PC. Such as, it offers dozens of new cleaning options for Chrome, Firefox, and other popular browsers. Most of the data is cache, logs, dumps, temporary data, and history, etc., but in the end, it depends on the program itself. Just download and install CCEnhancer and it will automatically integrate into CCleaner. 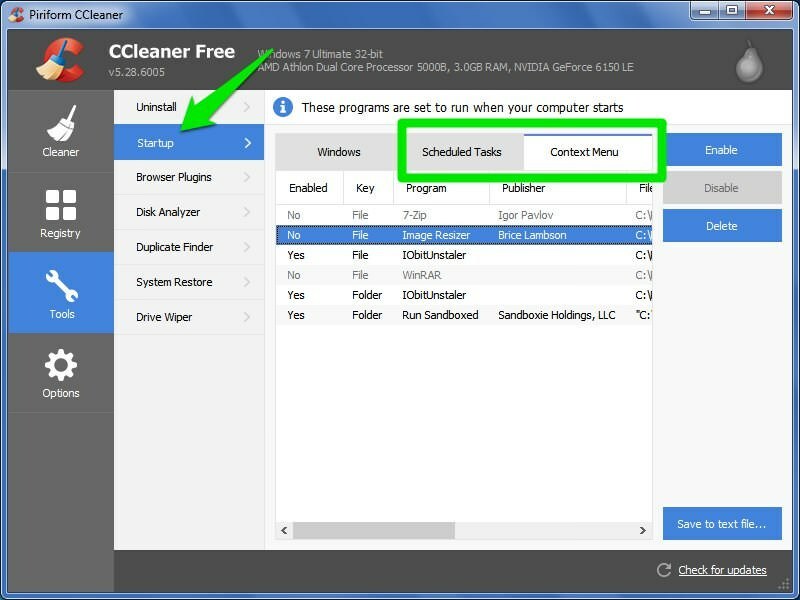 Afterward, open CCleaner and move to the Applications tab inside the Cleaner. You will see hundreds of new cleaning options that are categorized to make it easy to skim through. They are unselected by default, so you’ll have to go through each one of them and enable them to clean. For example, you will notice there are new cleaning options under Chrome browser, including Application Cache, backup, Exit code, crash reports, FlashPlayer cache, GPU cache and much more. You can enable these options to clean more thoroughly. Although I will not recommend you to enable all the options as you may end up deleting something required. Individually check each option and then enable it, and if you see any negative impact; disable it. I should also mention that after installing CCEnhancer, CCleaner took few extra seconds to load all the cleaning options. Many programs leave unrequired entries in the registry when you uninstall them. These entries can pile up over time and clutter the registry, which could lead to slight performance decrease and may corrupt some apps. 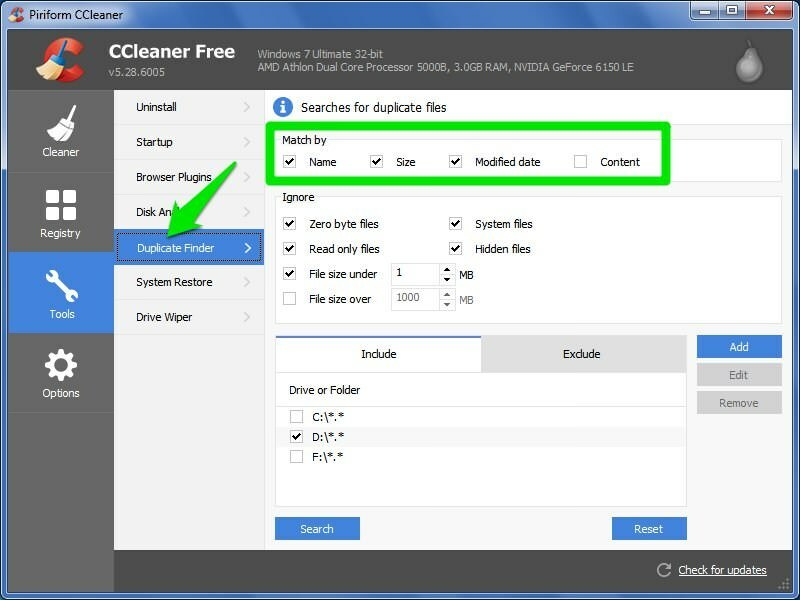 CCleaner Registry Cleaner gets rid of these entries and cleans the registry. However, do note that cleaning registry with an automatic tool bears the risk of deleting an important entry that may corrupt your system. My recommendation would be to only clean the registry after every 6 months and create the registry backup before doing it. CCleaner will ask you to create a backup before scanning the registry, don’t neglect it. This is similar to the Windows built-in uninstaller, but it has a handy Repair option that may be able to fix problems with programs that aren’t working properly. If you see any error with an installed program, try using this Repair button to see if it helps. This option is for managing startup programs similar to the one in Windows 8/10 Task Manager. Although the interesting part here is the Scheduled Tasks and Context Menu section. In the Scheduled Tasks section, you can see all the tasks that are set to run automatically and stop any unrequired tasks (malware can also create such tasks). Context Menu lists all the context menu entries of a third-party program that may be cluttering your Windows context menu. You can easily enable/disable or delete entries here. It gives you the ability to manage extensions and plugins in all of your browsers in one place. You will see all your installed browsers in the tabs above and all the plugins and extensions below them. From here you can easily enable, disable or delete plugins. A simple disk analyzer that scans all the data in your PC and shows it in a pie chart style. This makes it easy to see which of the programs are taking the most space and get rid of the unrequired ones. 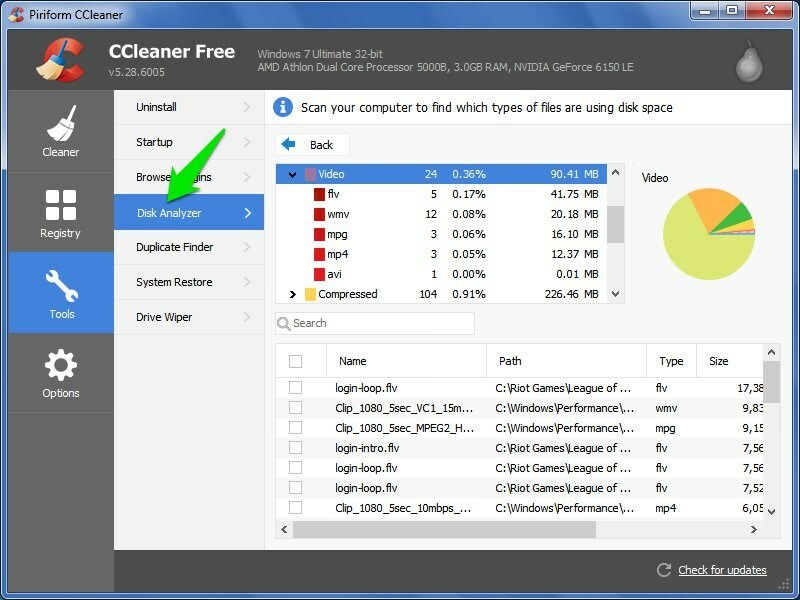 To be honest CCleaner Disk Analyzer is very limited, there are many disk space analyzers available that work much better than this tool. A powerful tool that allows you to find and delete duplicate files on your PC that are taking space for no reason. It lets you find duplicates by same name, size, modified data and even content. It also has some handy ignore buttons that make it very safe. In my opinion, CCleaner Duplicate Finder is more advanced and safe than many dedicated Duplicate File Finder programs. When you delete a file, it isn’t actually deleted. The operating system just marks it as deleted and shows the space as free to keep the deletion process fast. When you add more data, this data is then overwritten by the new data. Unfortunately, a recovery program like Recuva (from CCleaner developers) can easily extract this deleted data, which could be a huge security risk. Driver Wiper permanently deletes this data and ensures your deleted data is unrecoverable. 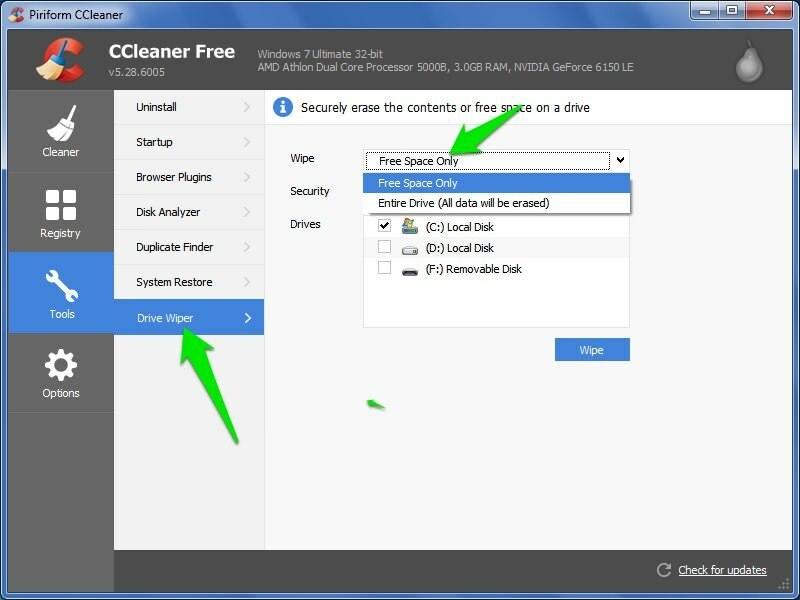 You can either wipe free space in your PC or permanently delete all the data in case you are selling or disposing of the hard drive. 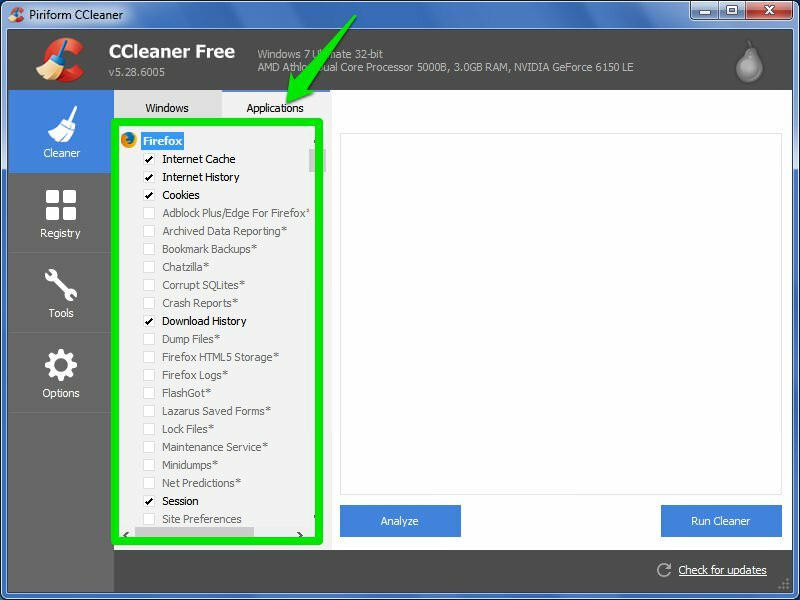 CCleaner is definitely a great PC cleaning tool and has many cool features worth checking out. The above tricks and explanation of its features should help you better use CCleaner. If you know any other cool tips and tricks or would like to add any further information, do let us know in the comments.